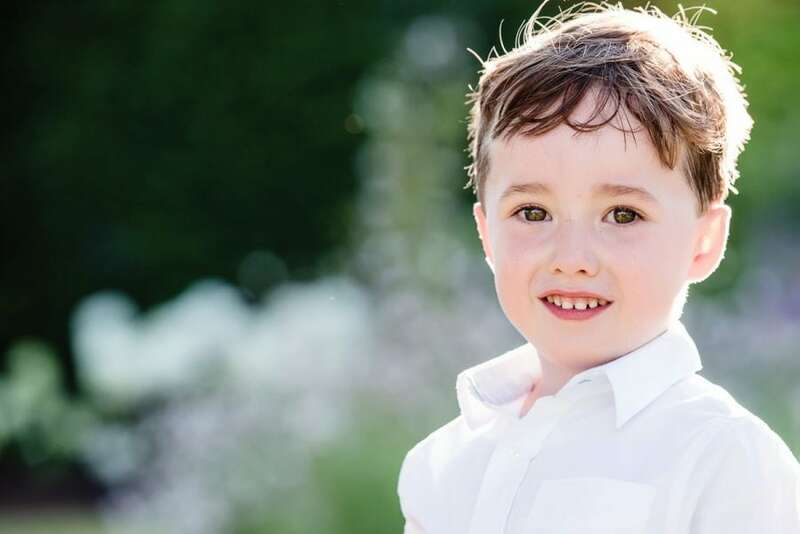 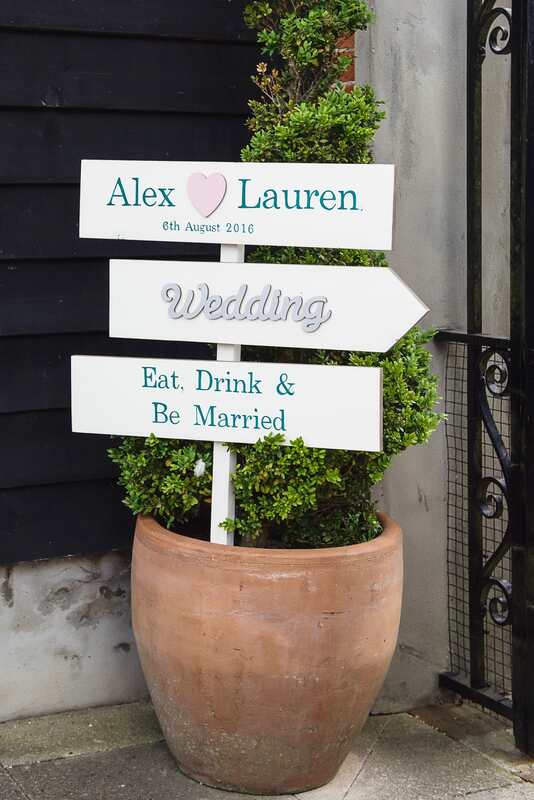 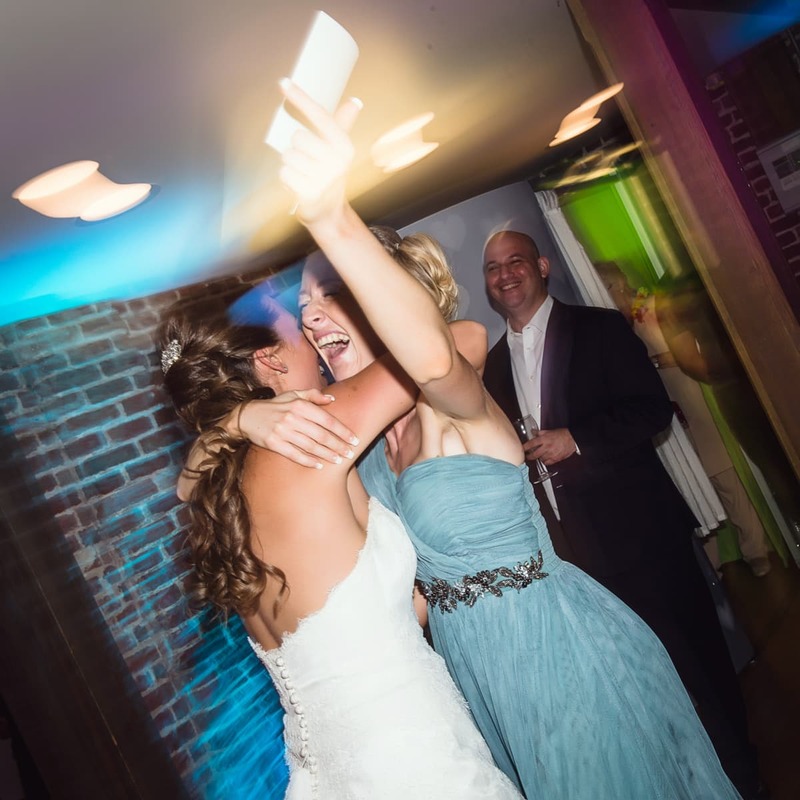 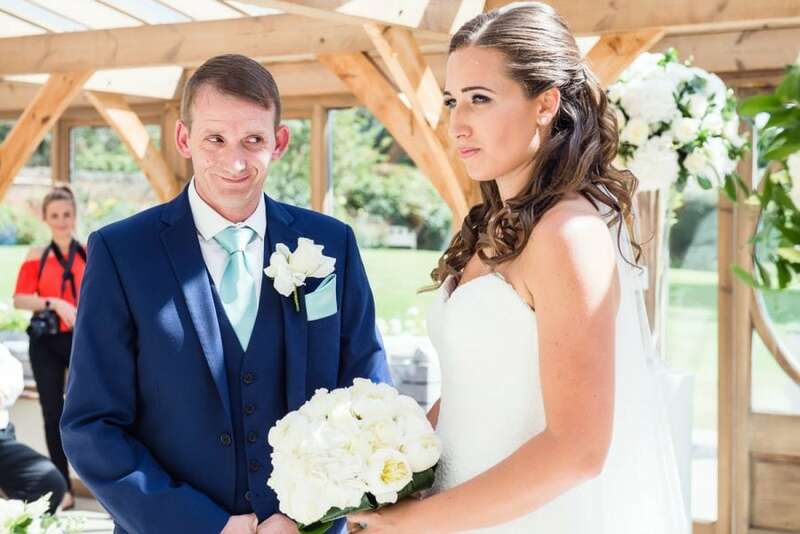 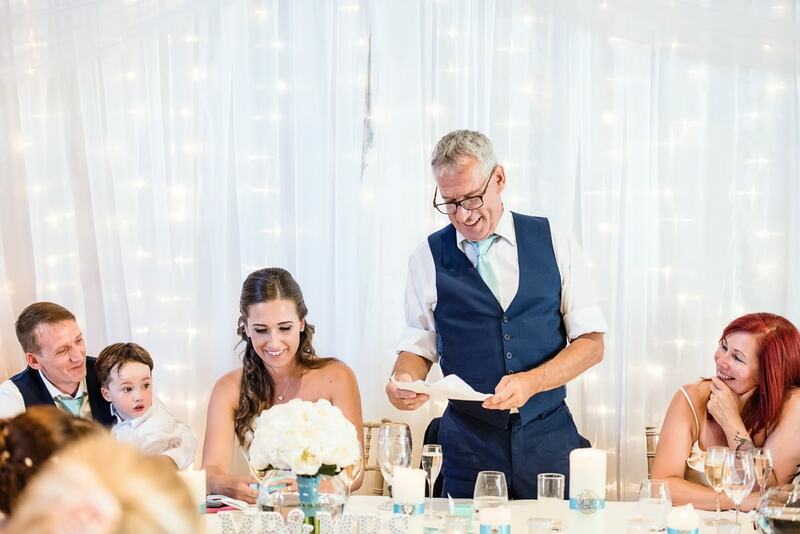 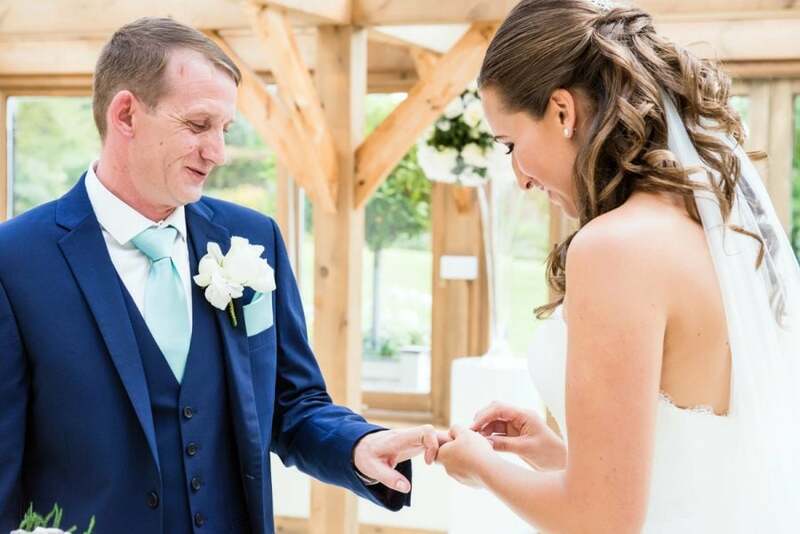 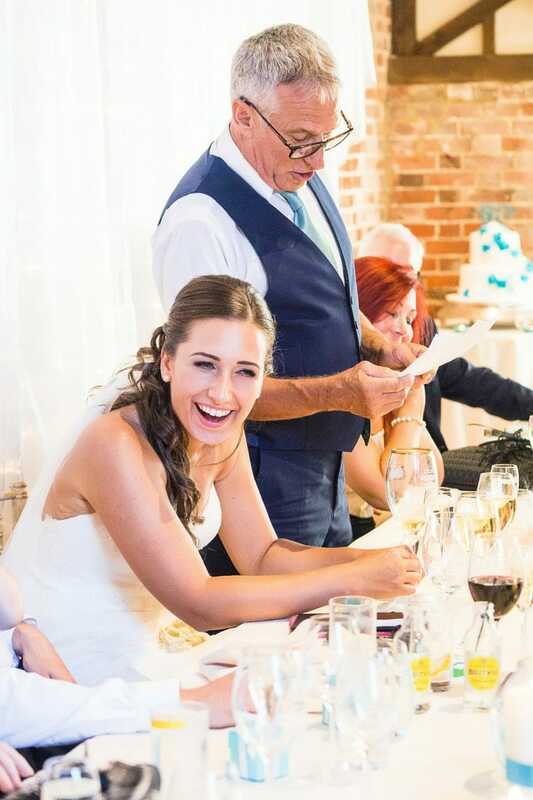 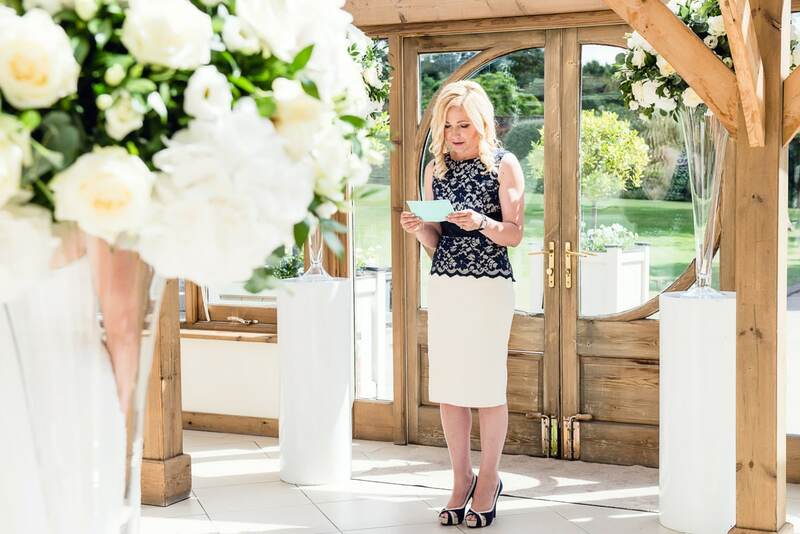 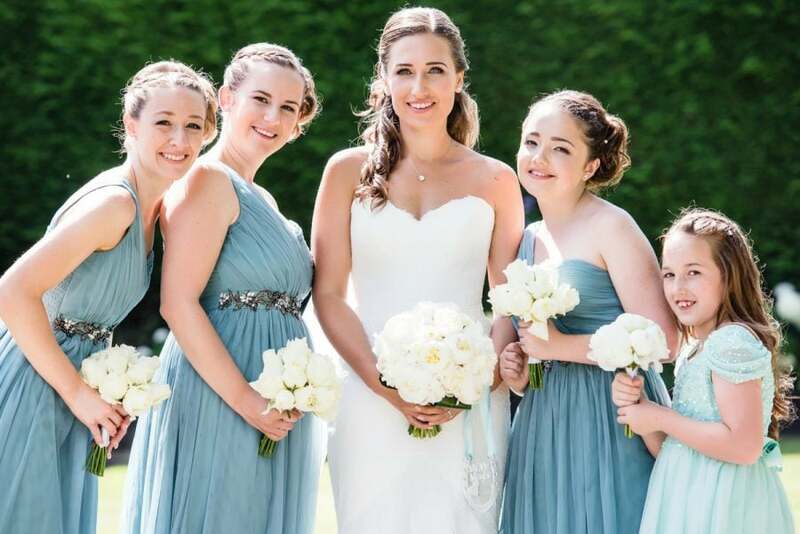 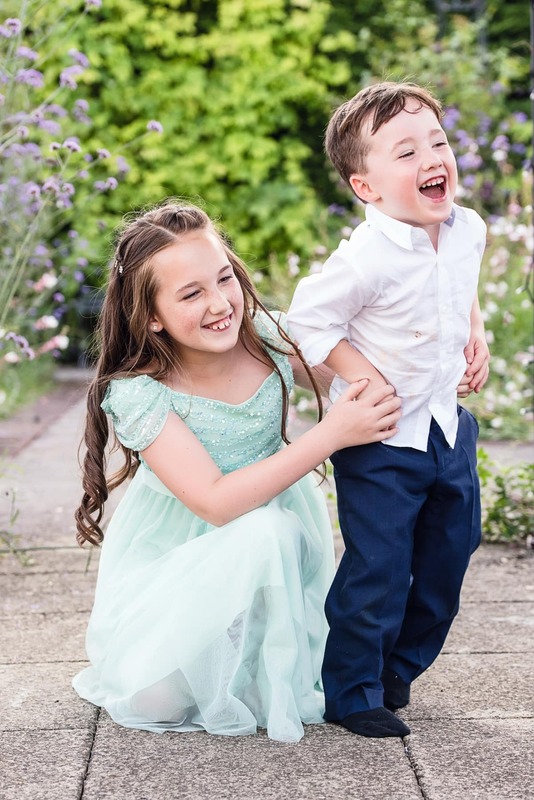 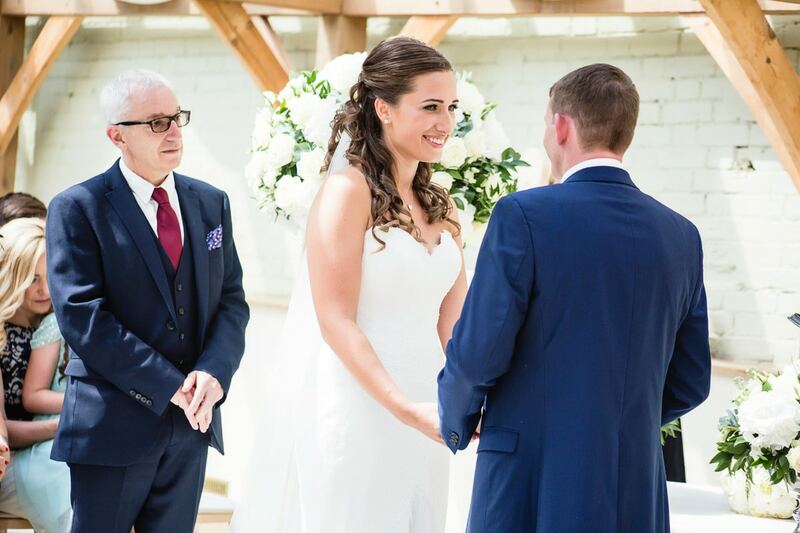 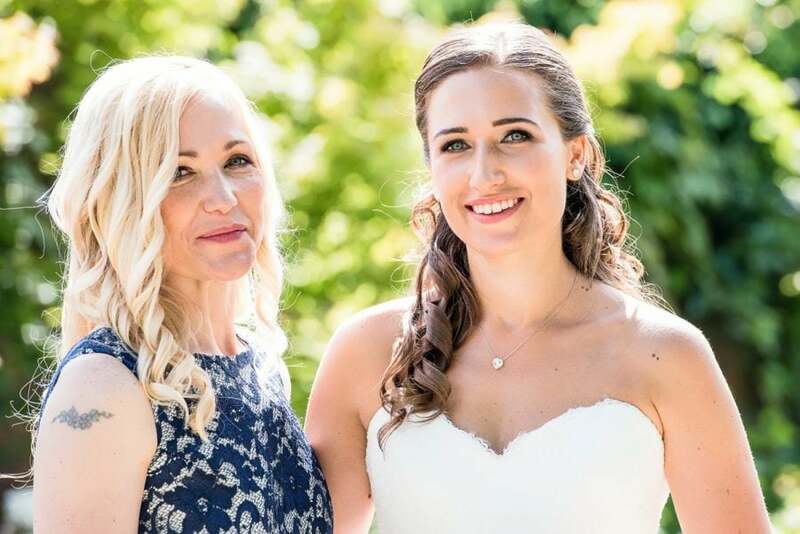 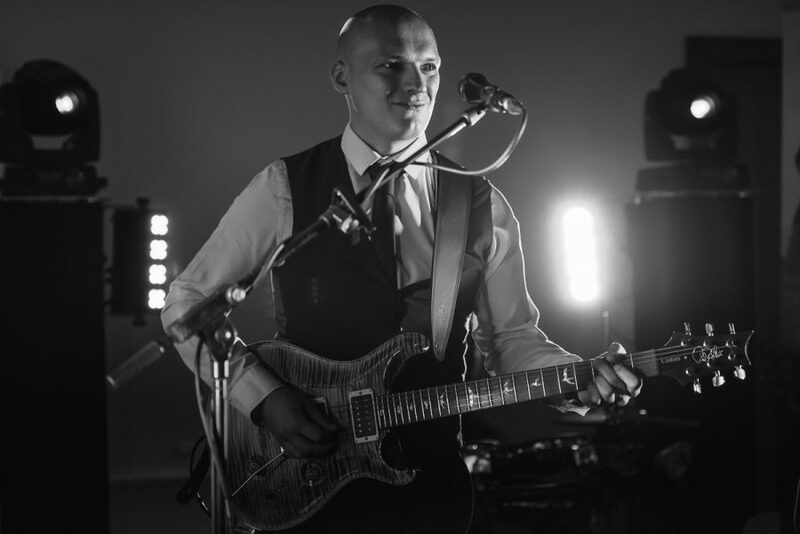 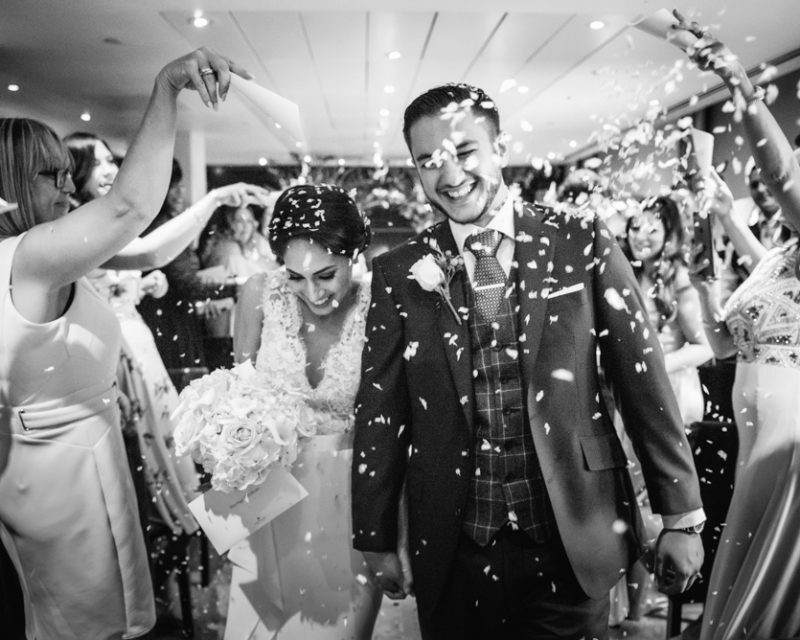 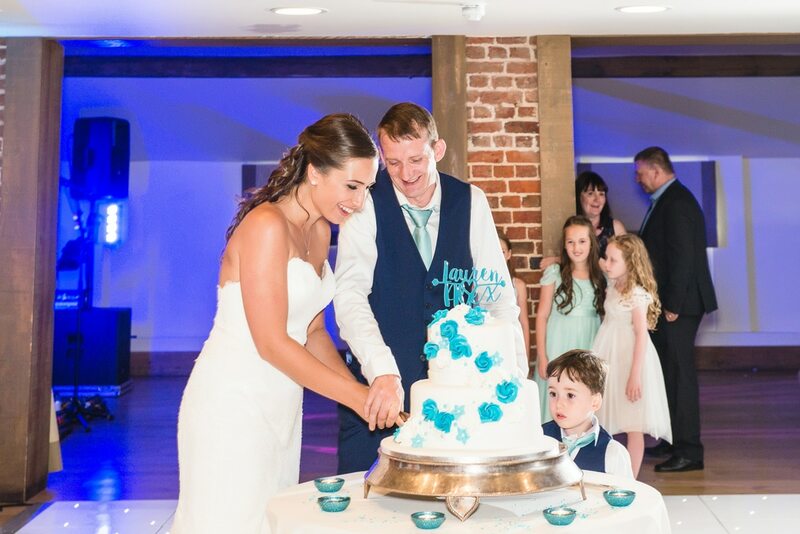 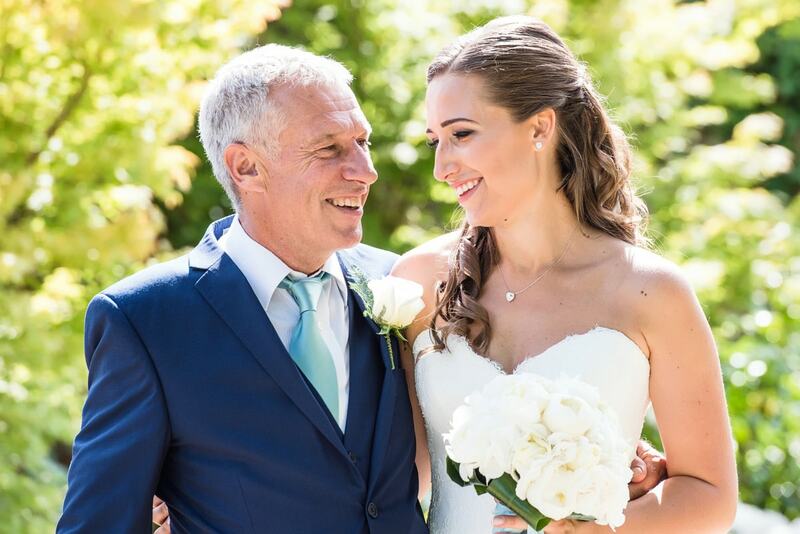 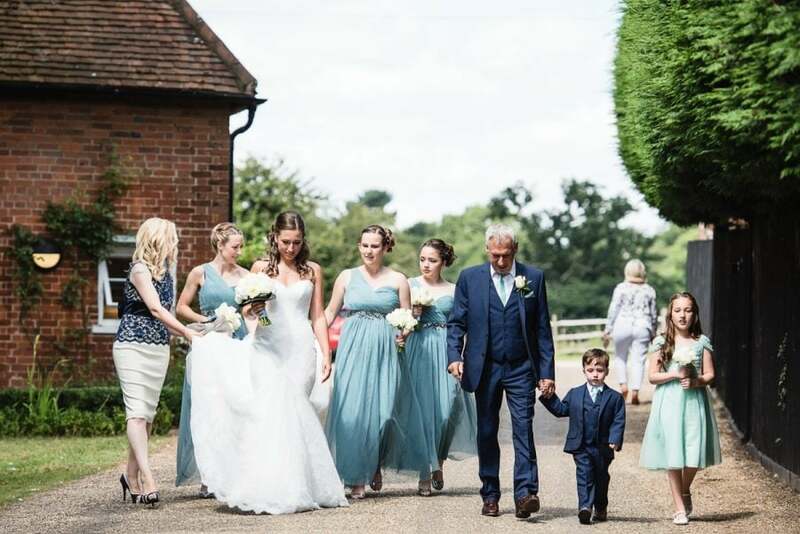 Lauren and Alex had their wedding at the spectacular Gaynes Park. 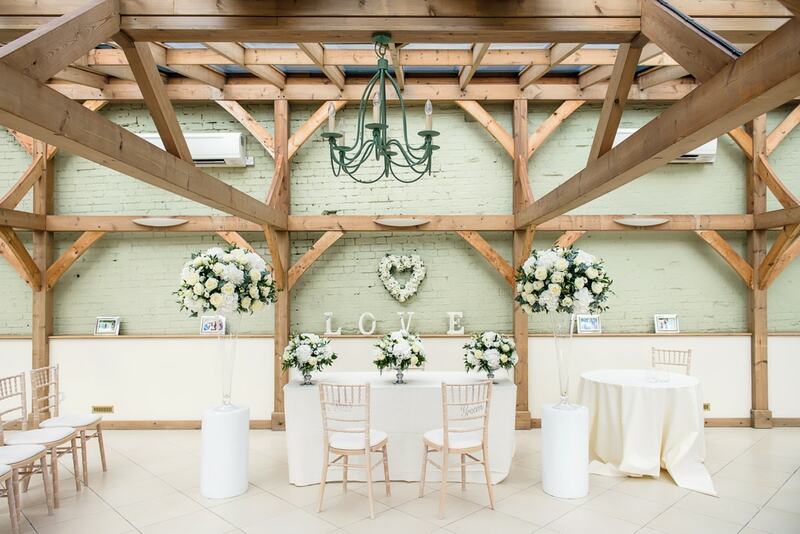 It’s a stylish, contemporary barn in Epping, Essex. 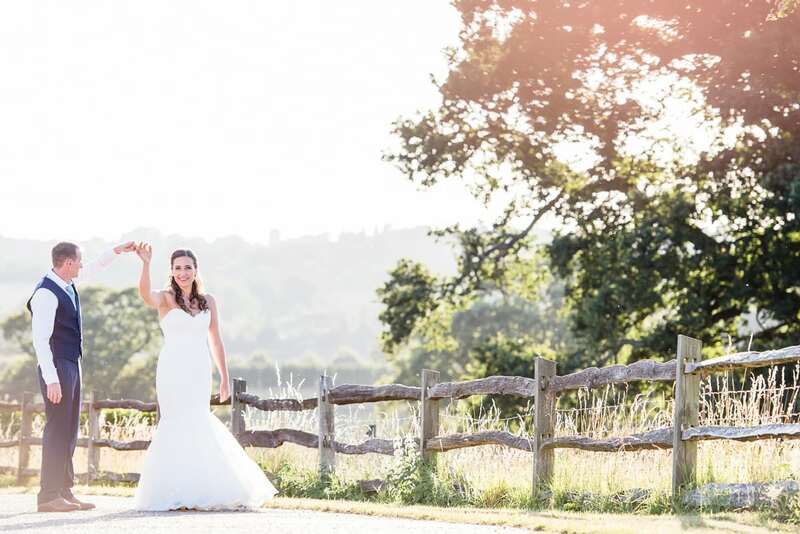 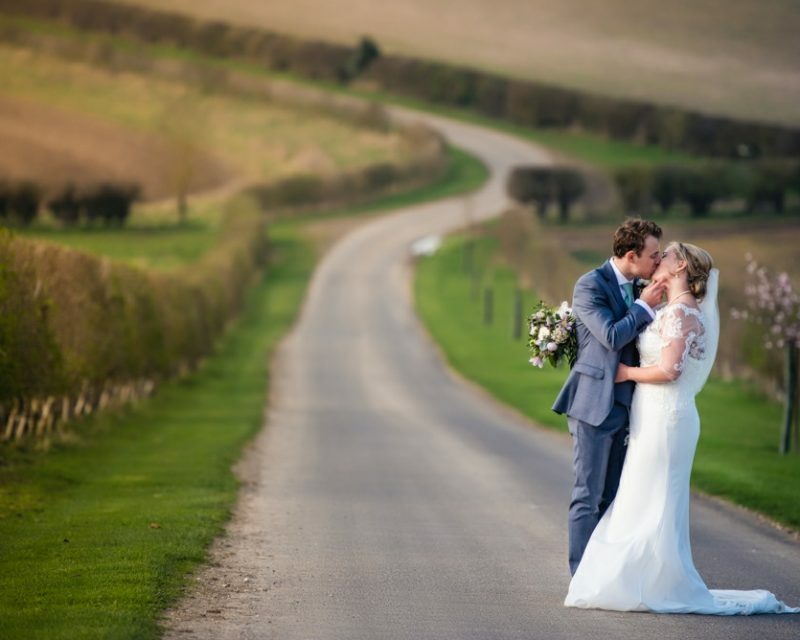 Surrounded by farmland with views of the London skyline, it’s the perfect location to elope. 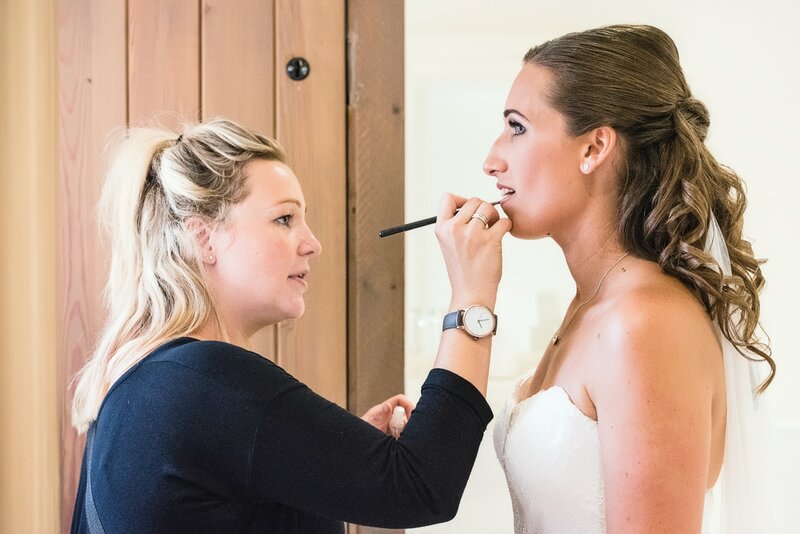 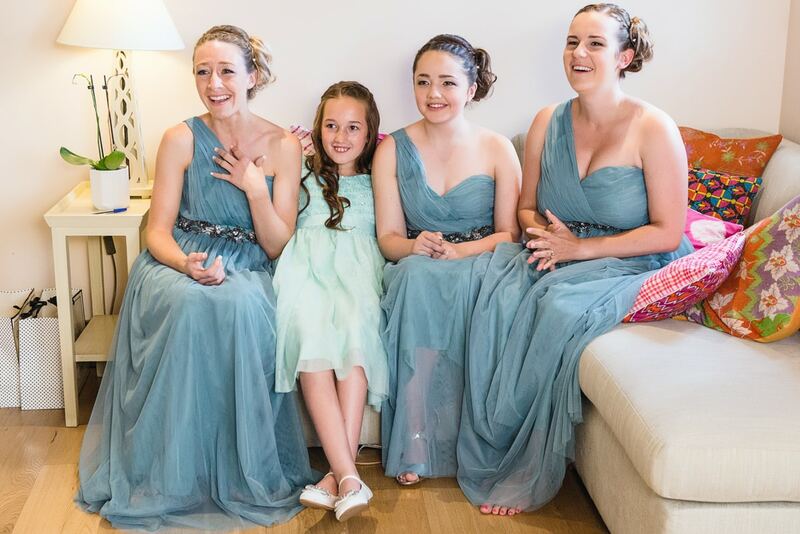 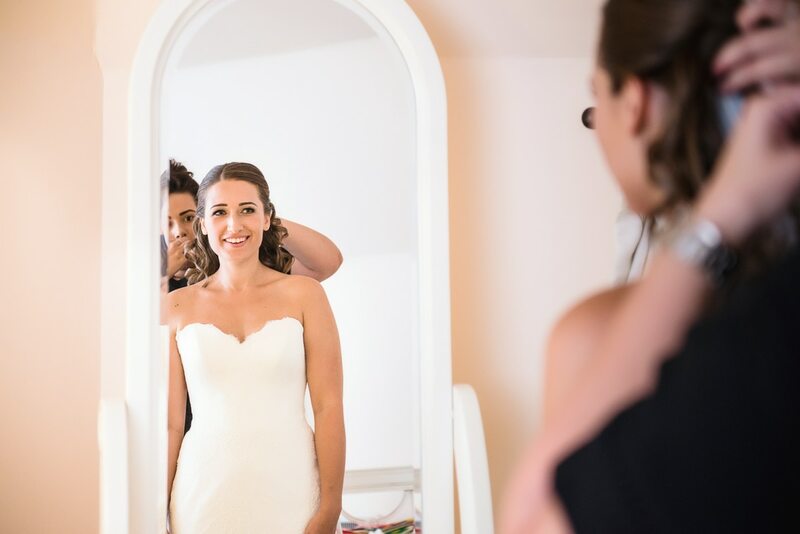 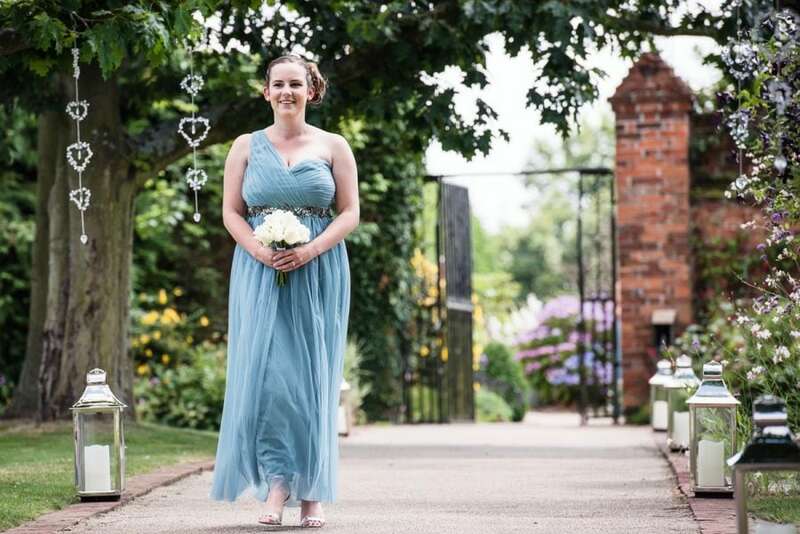 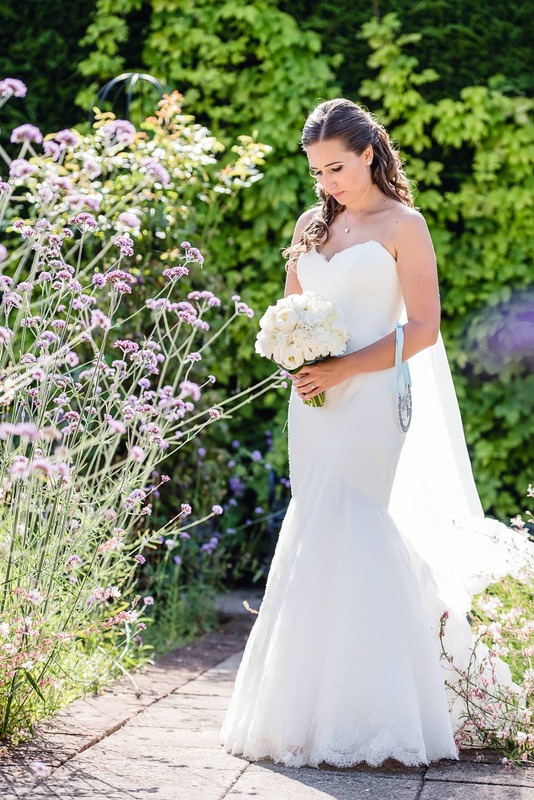 Lauren got ready in Gaynes Park’s beautiful rustic bridal cottage. 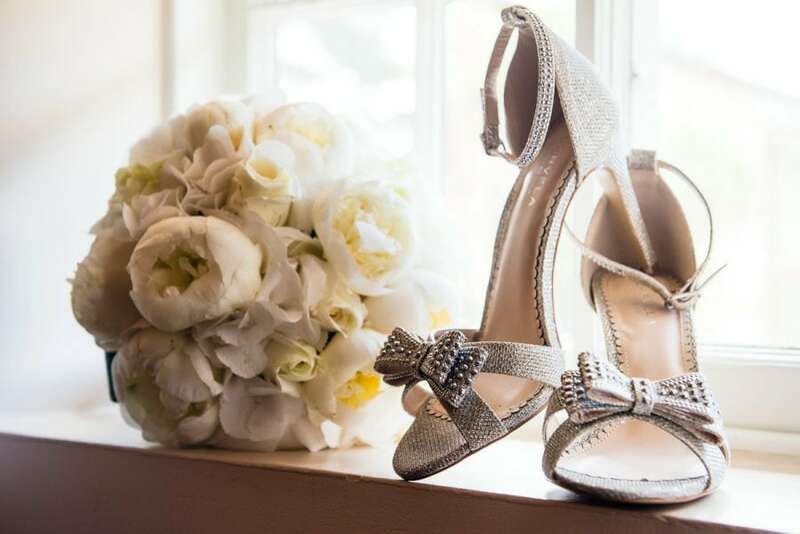 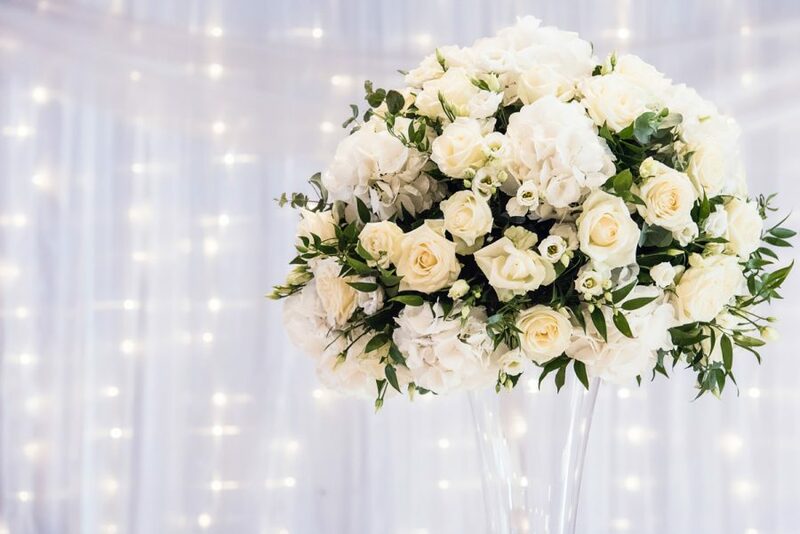 She had a classic white bouquet and a pair of sparkly Carvela heels. 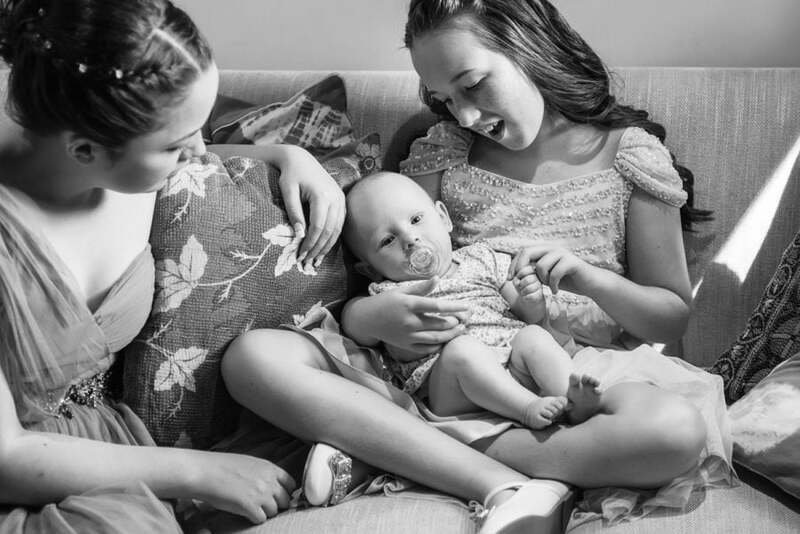 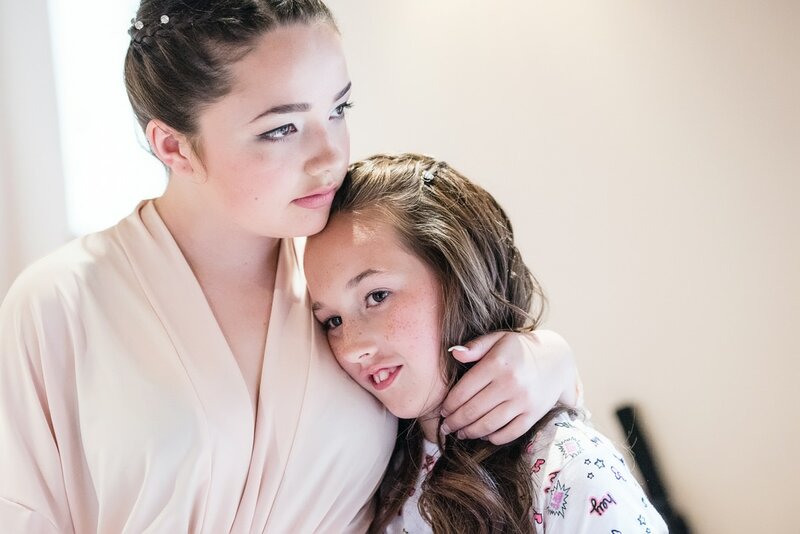 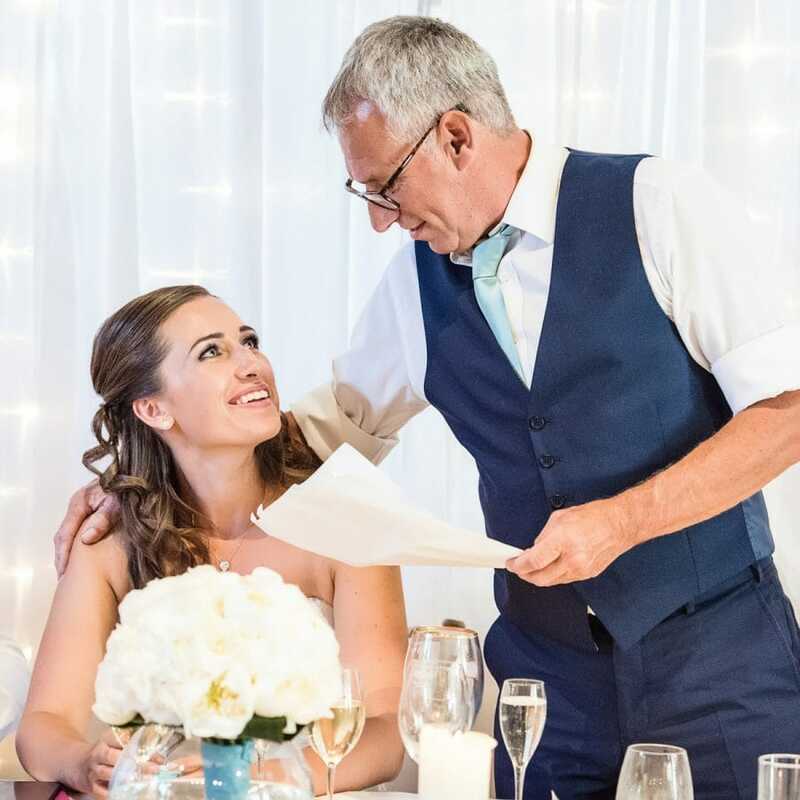 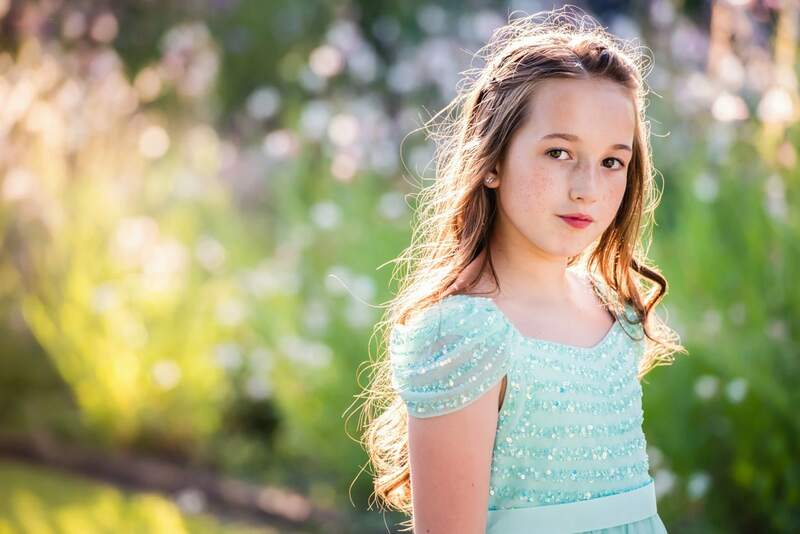 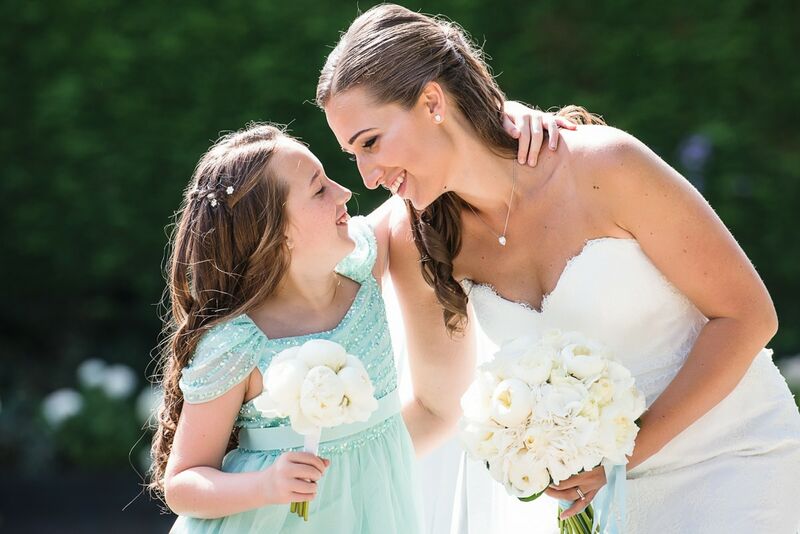 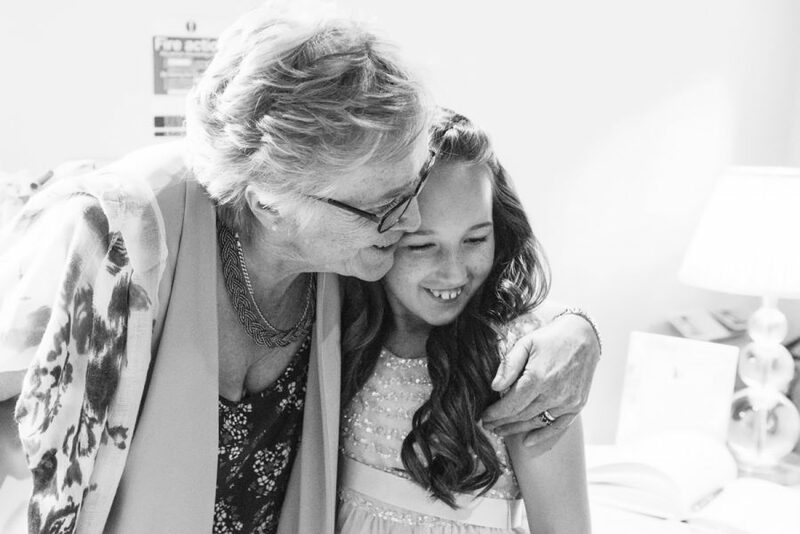 Lauren’s daughter shed a tear when she saw Lauren in her wedding dress. 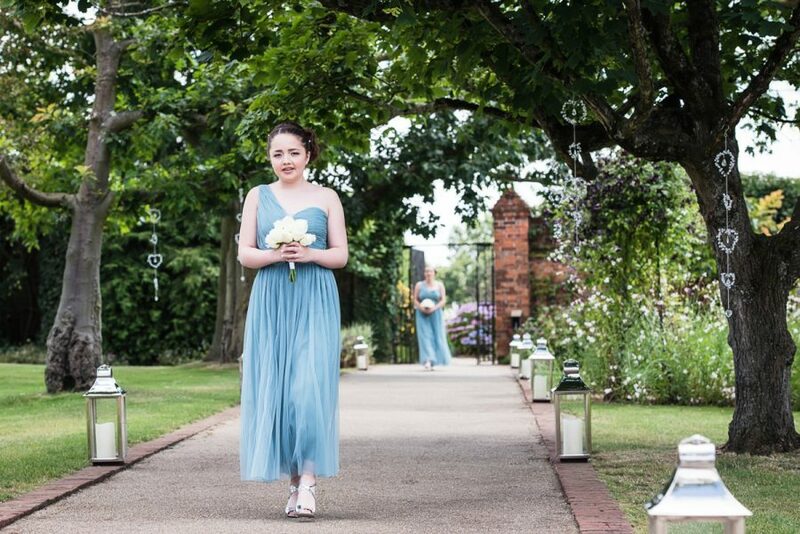 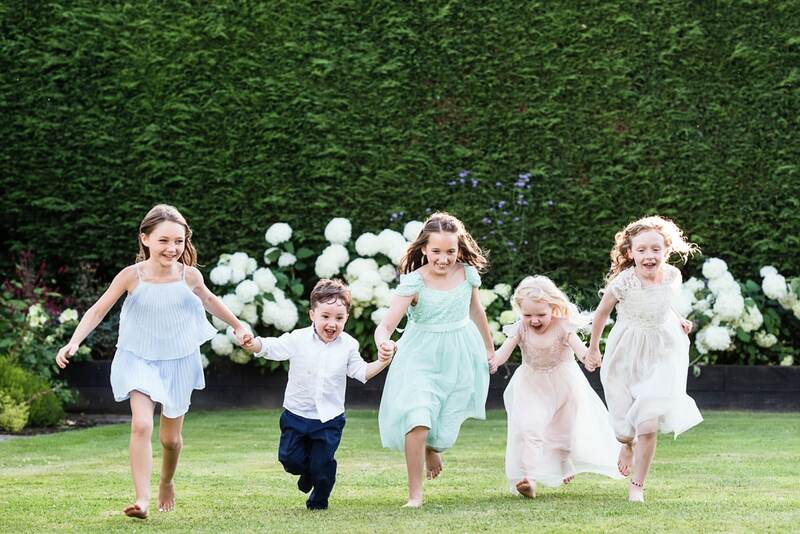 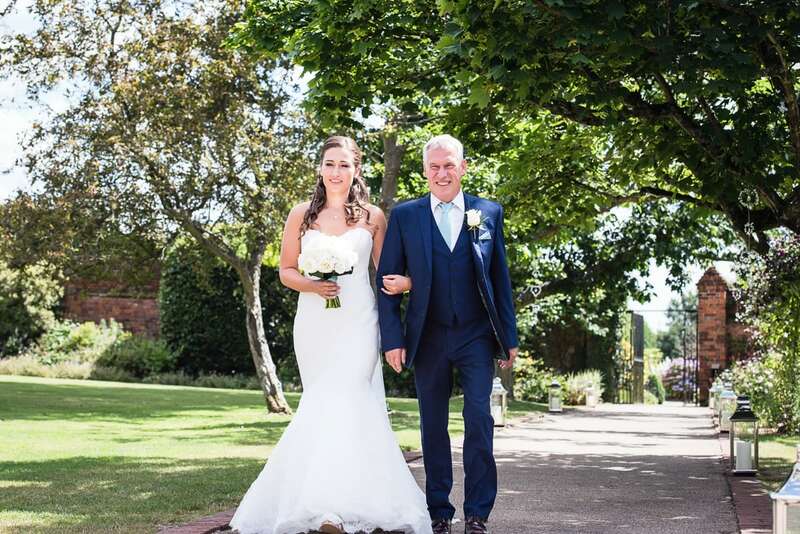 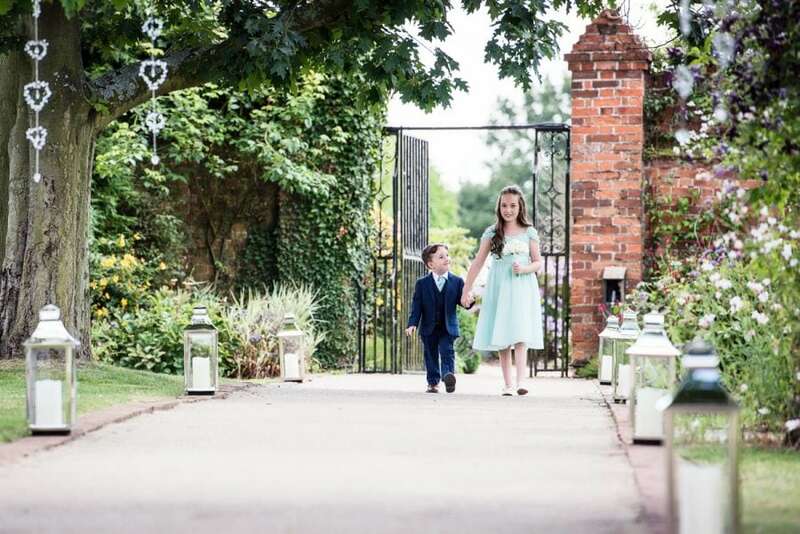 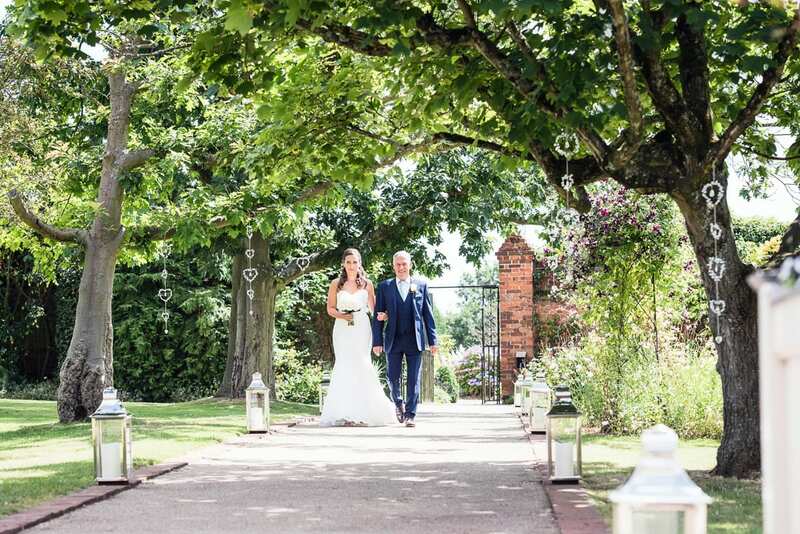 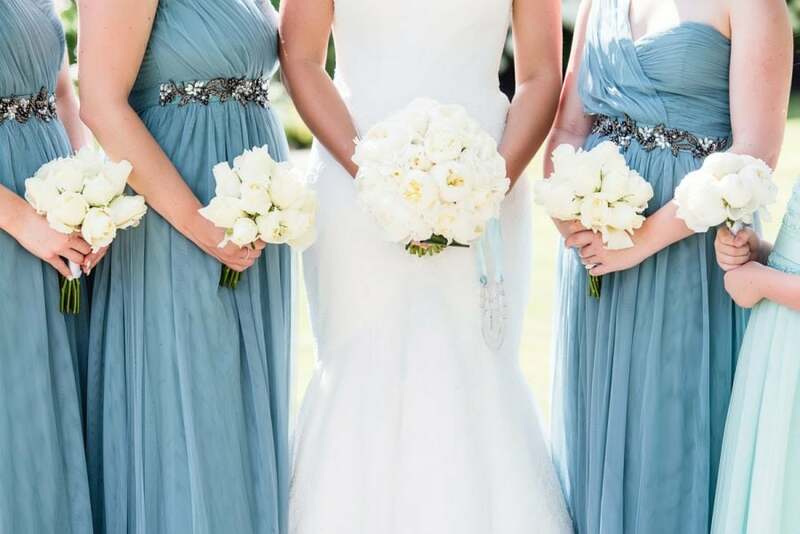 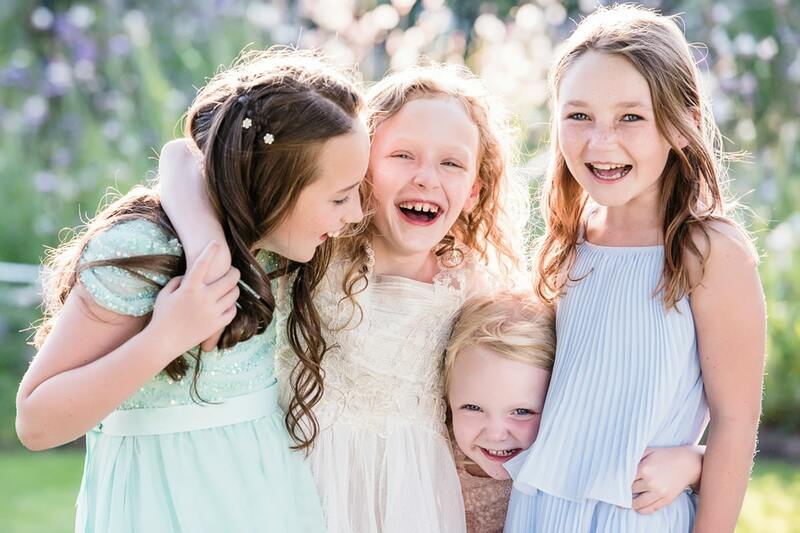 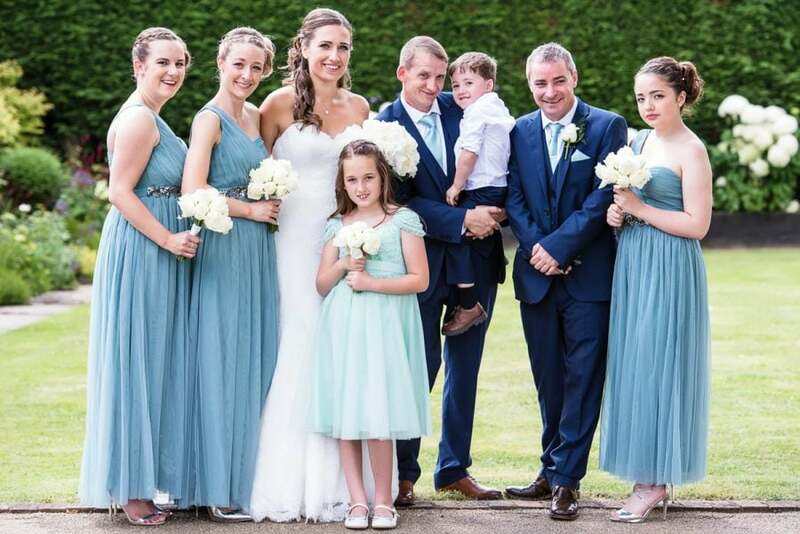 The venue boasts a long aisle through the walled gardens and the bride and her bridesmaids looked absolutely stunning as they made their entrance. 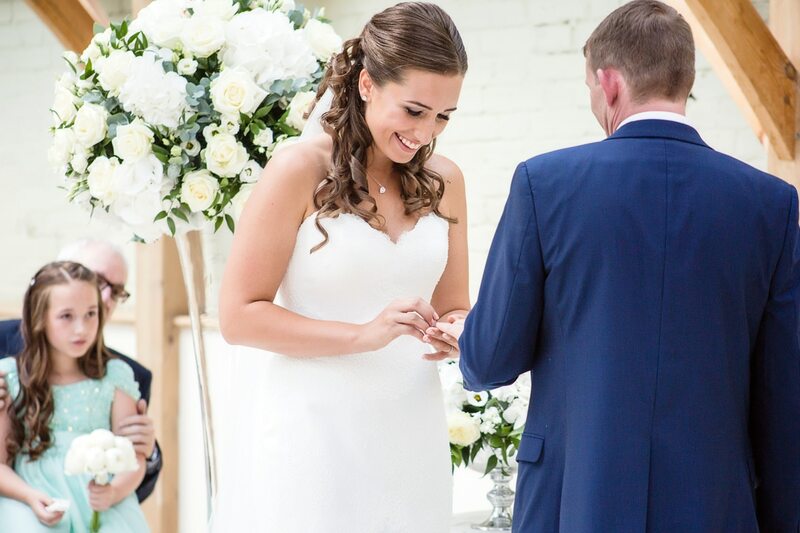 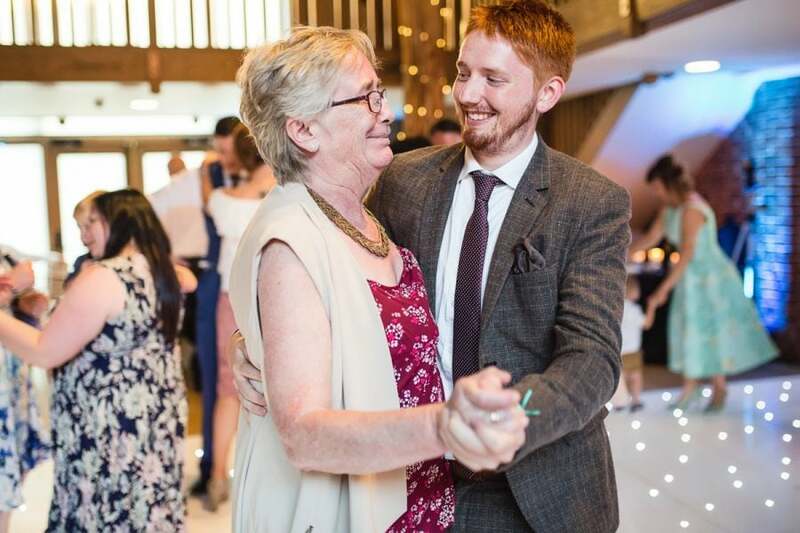 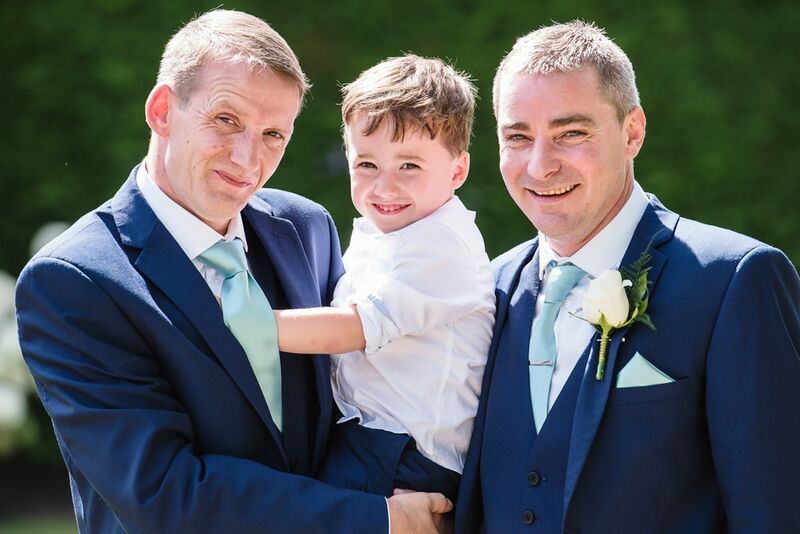 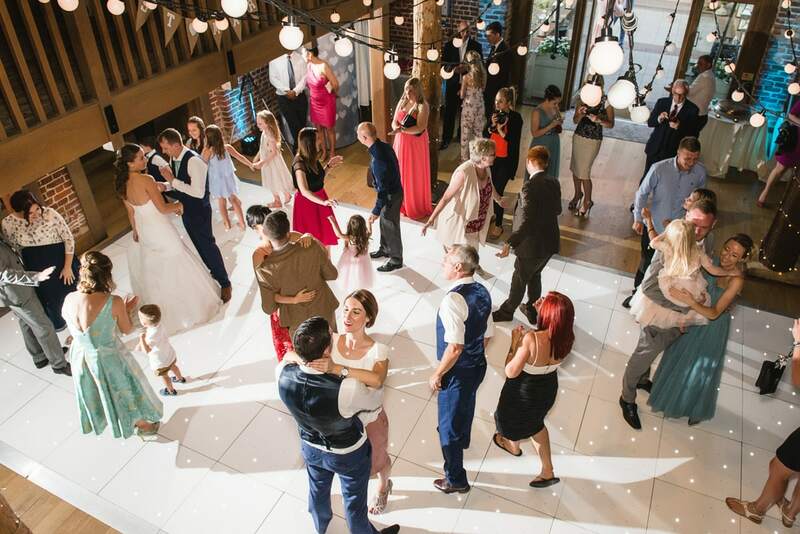 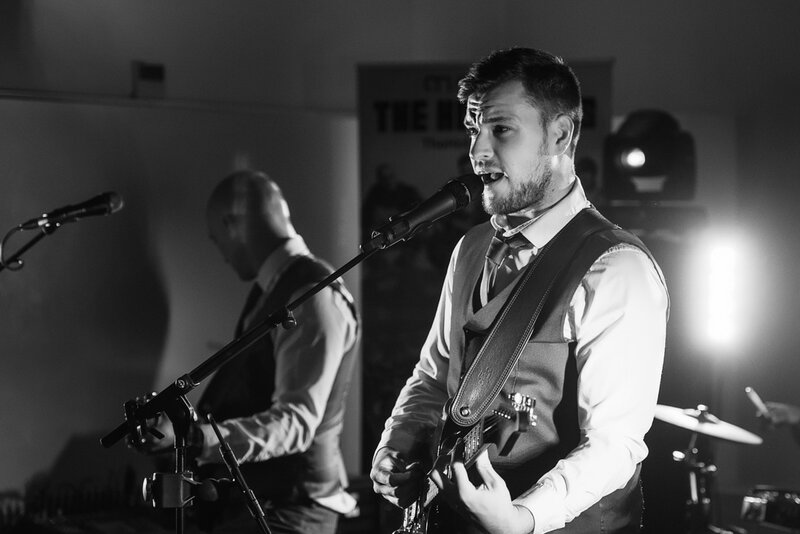 The ceremony was held in the Orangery which was flooded with natural light. 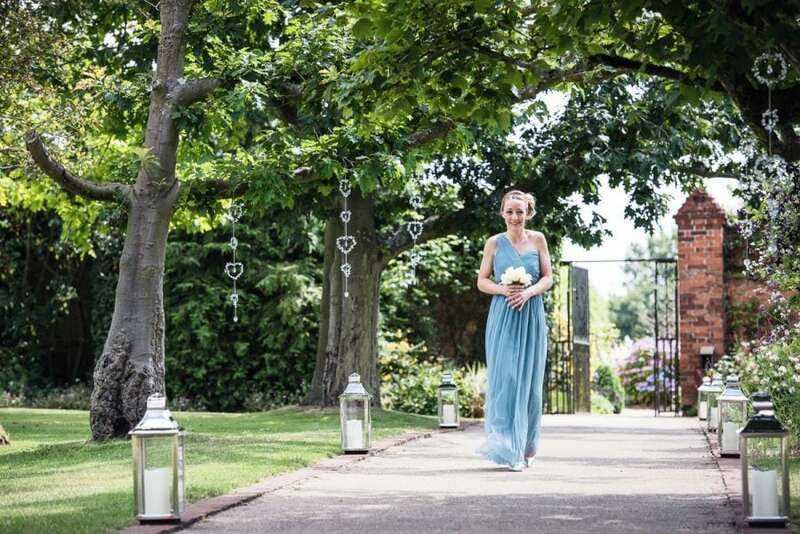 It was decorated with long glass vases with white rose arrangements and photo frames filled with pictures from their pre-wedding shoot in Hampstead Heath. 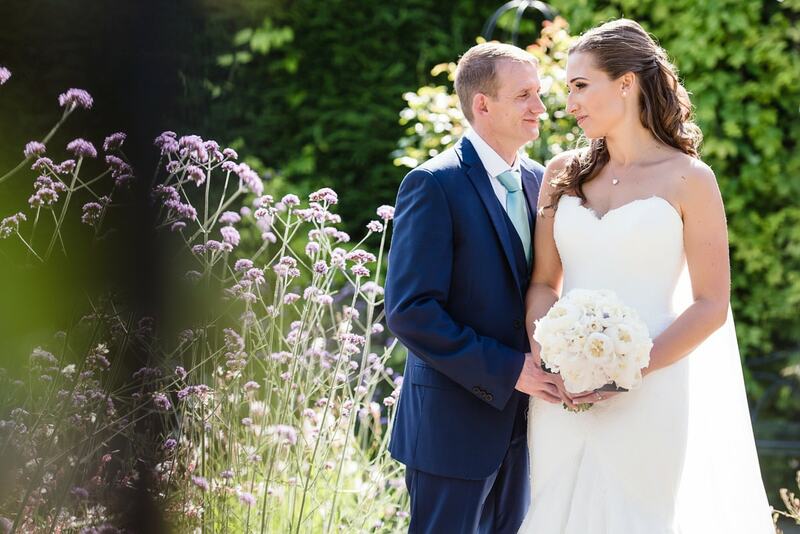 After a wonderful ceremony, I took the bride and groom off to have some couple photos in the gardens. 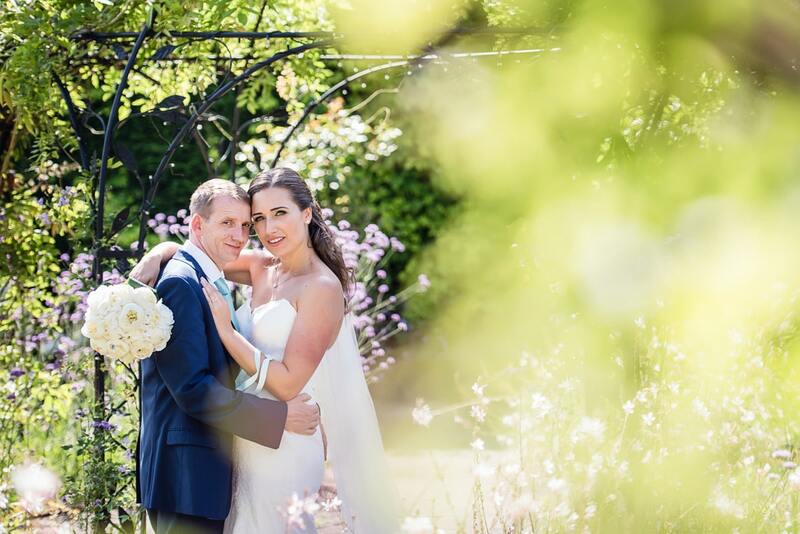 It was a warm August day and the light looked amazing as it shone through the foliage. 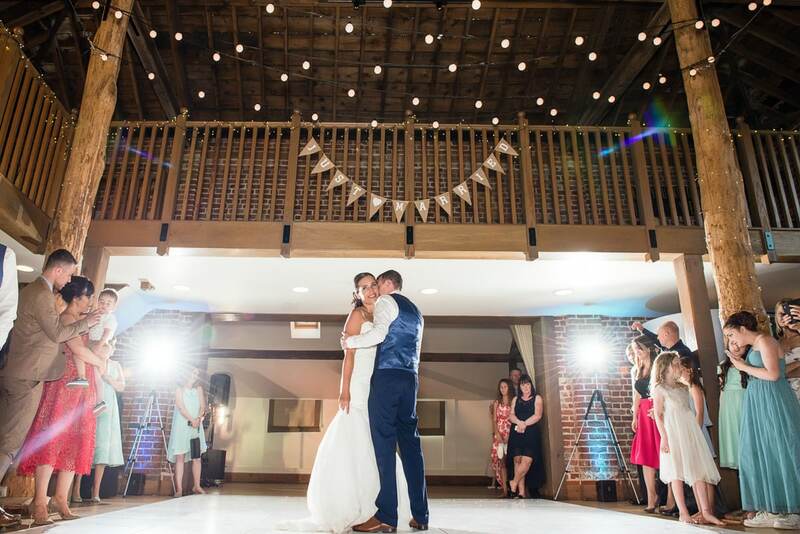 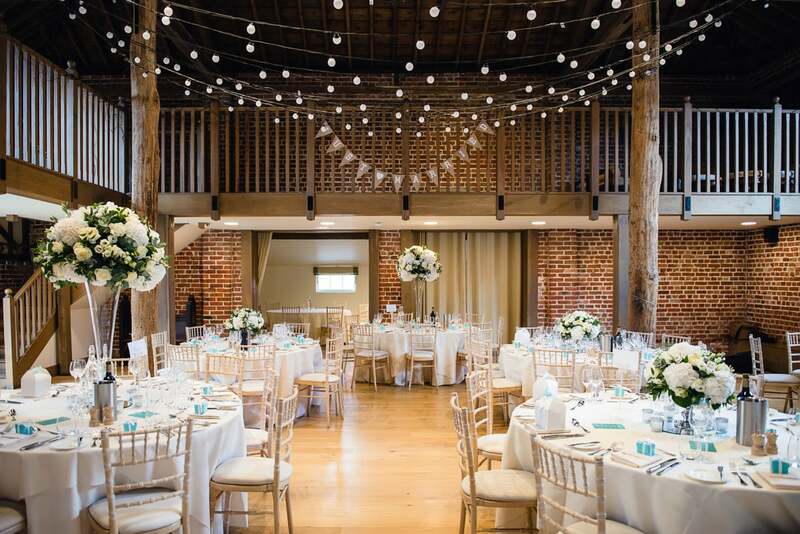 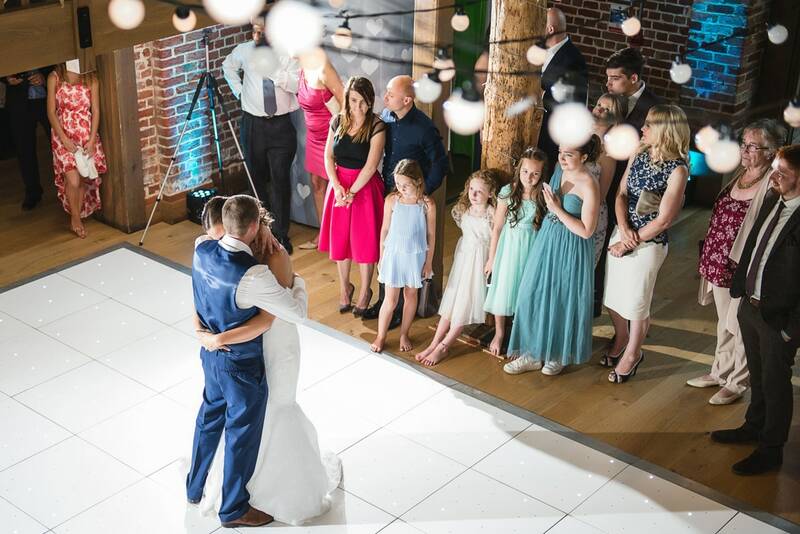 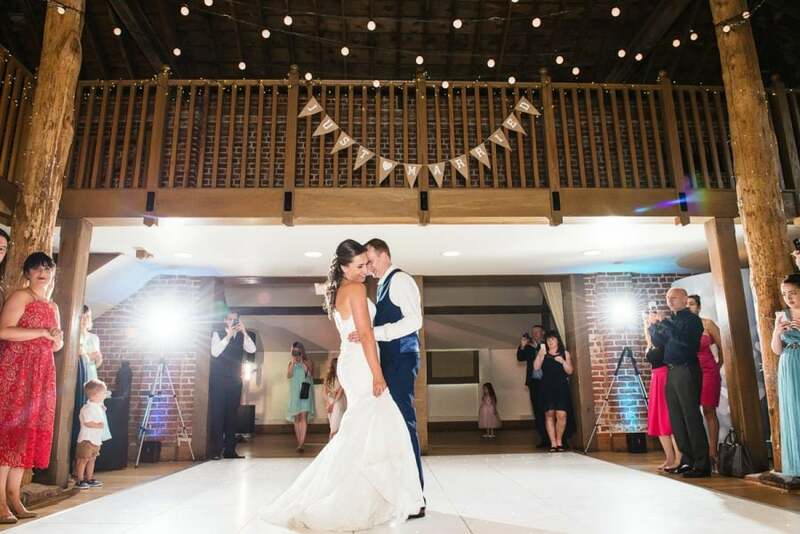 The barn was adorned with pretty fairy lights, bunting and lots of sparkle! 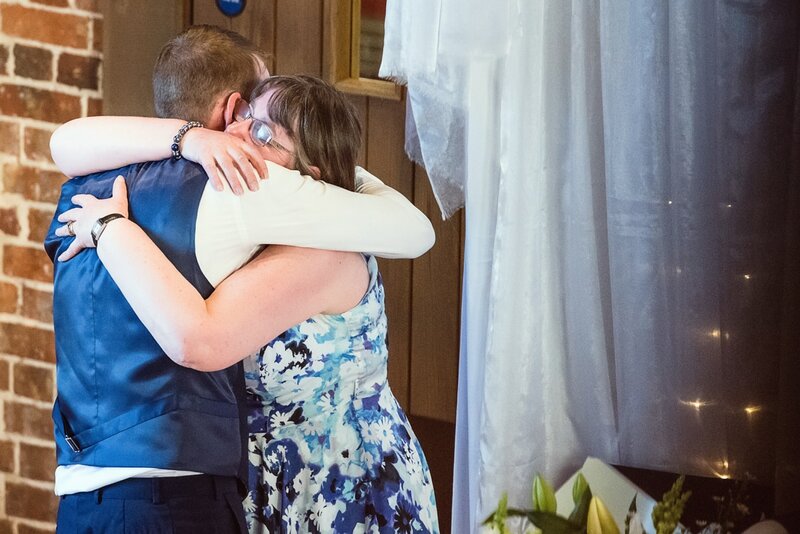 Alex had been a little nervous about his speech but his words were warm and heartfelt. 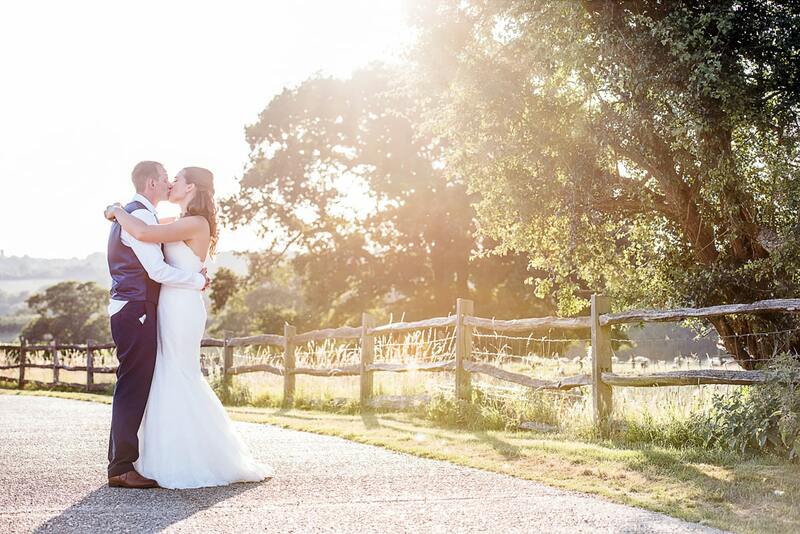 After an incredible three course meal we managed to squeeze in some couple shots at sunset…my favourite time to shoot! 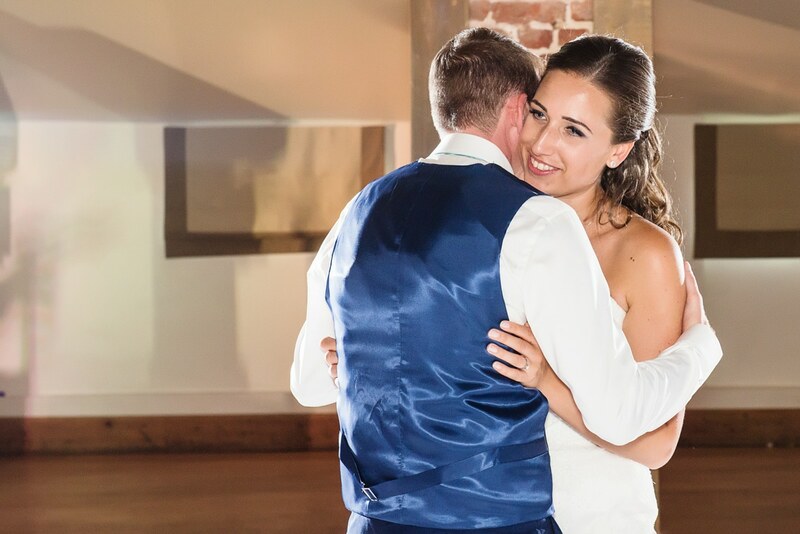 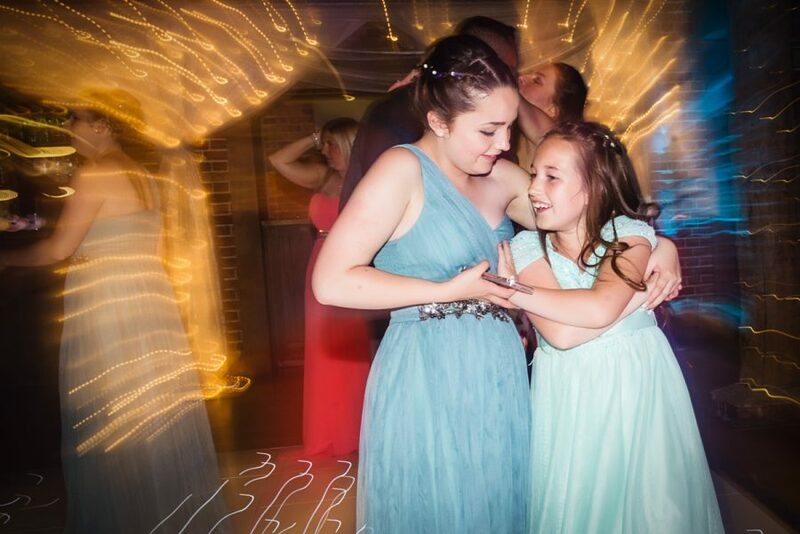 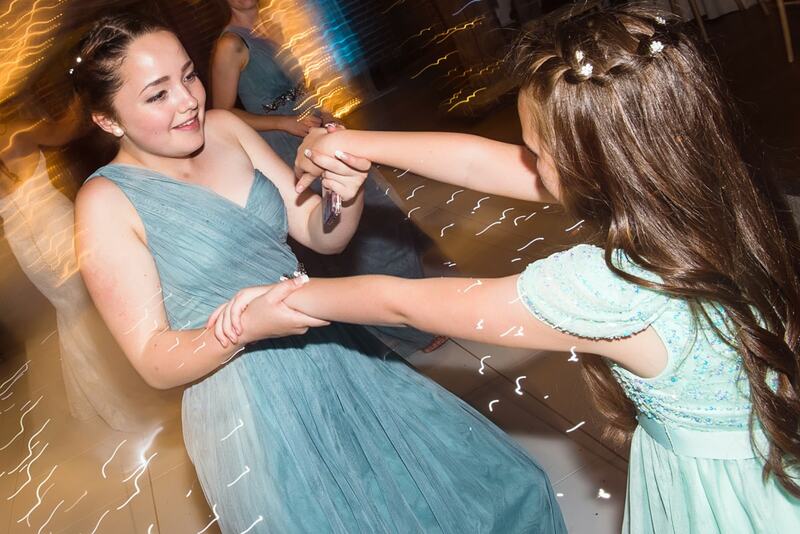 A romantic first dance followed along with some great music and awesome dance moves. 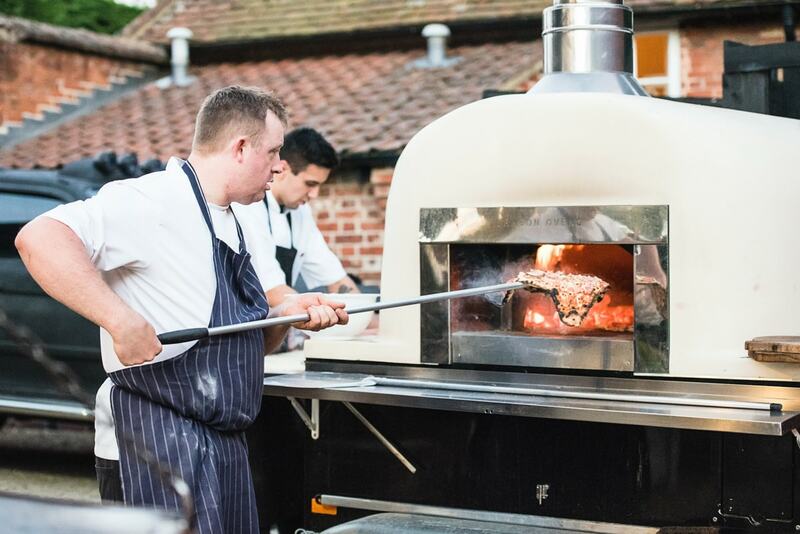 They also had a pizza oven to cater for the evening guests…great idea for evening food! 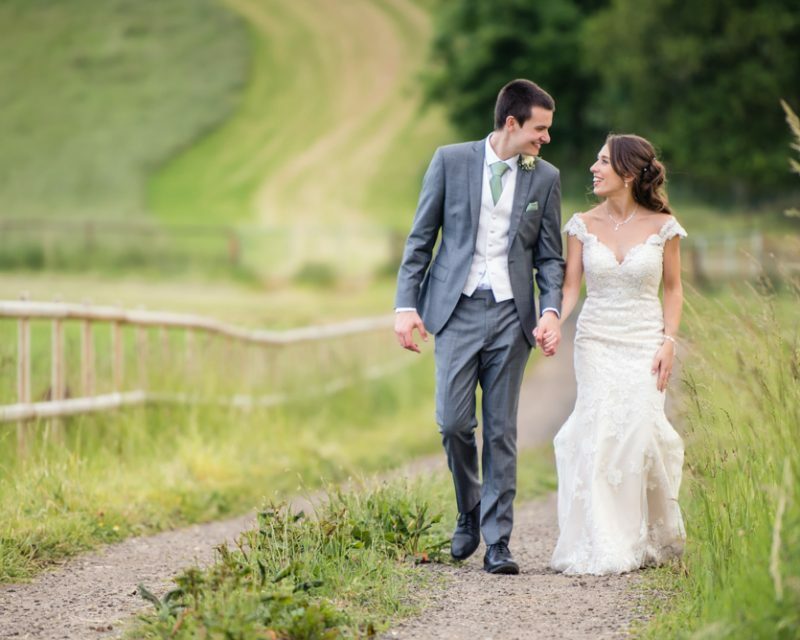 This wedding really had the wow factor and it was a delight to photograph Lauren and Alex’s big day.